Wholesome Essential Oil helps kill bacteria and boost the immune system. 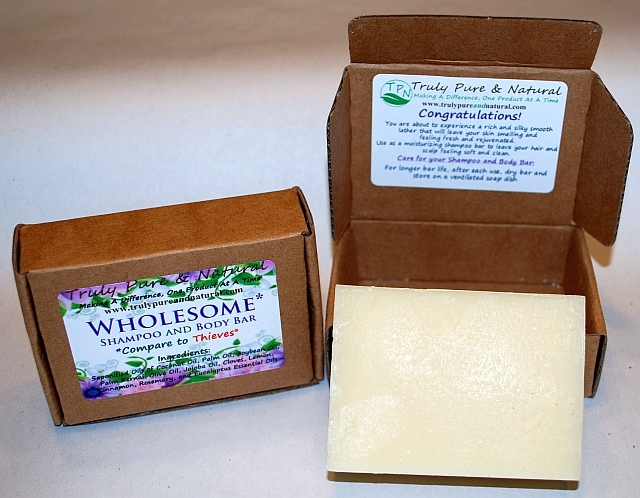 Our Wholesome Shampoo & Body Bar offers a safe and powerful approach in the battle against bacteria, germs, fungus and viruses all year round. 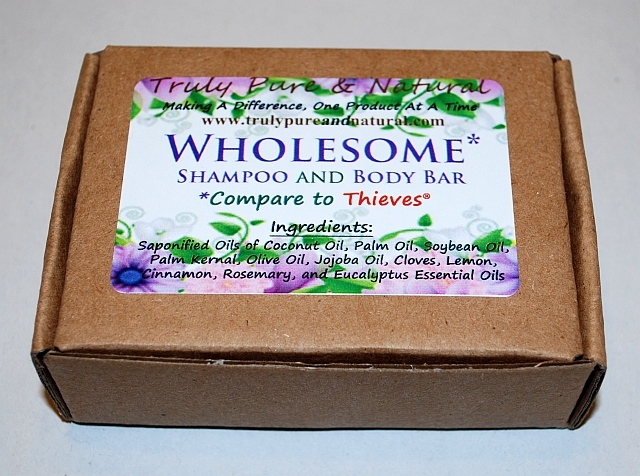 Our Wholesome Shampoo & Body Bar can be used on your hair and whole body. It has deep moisturizers that leave your hair and skin soft and clean, not dry and stripped like regular bar soap would. Our Wholesome Shampoo & Body Bar is both practical and economical!